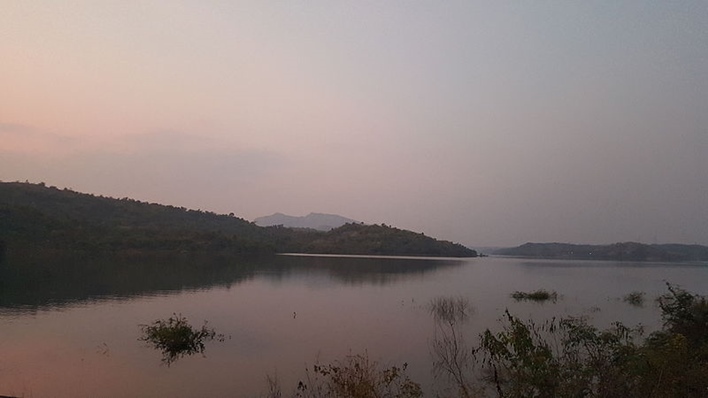 Manchanabele is a quaint village, located in Ramanagara District, which is 40 km away from Bengaluru. Known for being a nature lover’s paradise, this beautiful place is a welcome change from the hustle and bustle of the city. According to the 2011 census, Manchanabele is the 24th largest village and 39th populous village in Magadi’s sub district. Over the years, the population has increased and tourism is one of the thriving sectors in the area. The same census states that the working population comprises of 62% males and 46% females. Today, a lot of corporates in Bengaluru and Mysuru travel to Machanabele for office day trips. You will also come across adventure enthusiasts. Bikers, and families visiting this scenic location. One of the most famous attractions here is the Manchanabele Reservoir. Built on the Arkavathi river to irrigate nearby farms, this massive dam offers a serene view of the lush greenery around and crystal-clear water. Initially tourists were allowed to visit the dam, however, due to accidents in the area, now visitors are not allowed to go till the reservoir. You can view the dam from the nearby hilltops and click some amazing shots of the breathtaking views. If you want to relax with family and friends, this place makes an ideal picnic spot. For those who love adventure, there are resorts around the small hilltops that offer trekking, mountain climbing, kayaking, canoe rides, rappelling, and other activities. Manchanabele Dam is also home to a variety of flora and fauna, making the place a treat for bird watchers. The best time to visit the dam would be from October to March. That’s the apt time when the dam will be filled with water and the weather is pleasant. Located in Kethohalli, just 10km from Machanabele, you will come across a 400-year old banyan tree covering approximately 3 acres of land. Colloquially known as Dodda Alada Mara, the big banyan tree is one of the main attractions in the area. Even though the tree’s main trunk had withered away years ago due to contamination or old age, the tree has still been growing in size, giving the impression of a group of smaller trees. The spot makes an ideal location for picnics. However, you must be aware that there are troops of monkeys that have made this beauty their home. So you need to be careful with your belongings. You can also drop by Lord Munisvara Temple that is strategically built within the tree area. Manchanabele has a lot of places of worship, one of them being Hazrath Shirajuddin Sha Khadri Dargha or Manchanabele Dargha. This dargah a short distance from the reservoir and is generally crowded during special occasions. The closest airport to Manchanabele is Kempegowda International Airport, Bangalore. You can take a flight to Bengaluru and travel by road to reach Manchanabele. The village is approximately 70 kilometers from the airport, which is roughly 2 and a half hours drive. The closest railway station is Hejjala Railway Station. Though there are no trains which start or end in this station, 18 trains stop here regularly. Once you deboard the train, Manchanabele is a half an hour drive away. The village is just 40 kilometers from Bengaluru. You can take a direct bus from K. R. Market (City Market) in Bengaluru to reach Manchanabele. If you are driving down from Bengaluru, you can take the Mysore road to reach here. For those coming from Mysuru, it takes 2 and a half hour via NH275 to reach Manchanabele.